What’s the Deal With Mystery Shopping? Mystery shoppers are licensed to perform the job, and are working for a company with a private investigators license. They are given the responsibility and the freehand to go about with their task that is why a certain level of professionalism is required for them to be effective. They act as an ambassador representing the other customers whose complaints are never heard. The mystery shopping company does not charge any fees to the registered shopper. Everything is for free – the training, shopping opportunities, tips for improvement. It is the mystery shopper who is supposed to get paid with a pre-arranged fee depending on the shop being visited, and is reimbursed of the expenses on the purchase made during shopping. Although it is possible to earn a living as mystery shopper, the pay is just enough to pay your meals and a few products. The process of becoming a mystery shopper has improved. Most of the mystery shopping companies provide an online registration process which can only take a few minutes to accomplish. You can register with more than one company. Once the registration is completed, they will be informing you through telephone call or email of the available shopping opportunities. Most of these offers come on a first come first serve basis, which is why you have to check your mails and calls regularly in order not to lose the chance to be given an assignment. There are times when a mystery shopper is given a last minute assignment, you should be willing to accept this. Just like in any other field of work, professionalism is important to build a reputation. You have to accept even the worst assignment and treat them like they are as important as any other assignments. There is no room to be choosy in this field. Remember, first impression is lasting, that’s why you do not think of a “next time” to make that first impression. Be prepared and attentive, before going to the assigned shop, you have to understand every instruction given to you. Focus on what you are doing, there are times that you need to jot down data like the employees name or the products offered, so you have to do them with complete accuracy. Mystery shopping companies are into high technology, they may require you to go online immediately while doing the shopping. You may also be asked to capture through photograph a particular product, an employee, a signage, the whole vicinity to check the cleanliness. You should be able to do what the company asks you to do, and in most case, they should be done discreetly. Do not underestimate the employees of the client you are assessing because some of them could found out that you are in for a mission. If this happens, the whole essence of assessing the employee and the client is compromised. Your report will not be accurate and will have no bearing at all. Some assignments can be as simple as sitting in a parking lot of a restaurant for half an hour and document the drive-thru system, some can even take you to an out of town trip for a couple of weeks for free and document your day to day experience. Some might even ask you to hire a maid service and detail their work. The best assignments are usually given to dependable shoppers, that is why you should treat every assignment with utmost professionalism. You need to establish your character through your behavior in accepting assignments. If you have proven to the company that you are indeed dependable, then you can expect more assignments in the future. You have to complete your assignment on time. If by any chance you will not be able to do the assignment, you have to inform the mystery shopping company right away to allow them to reassign or reschedule the assignment. After each visit, the shoppers then submits the data and information collected to the company which reviews and then analyze them to come up with a statistical analysis report. In this manner, the client company can compare the present state of their company against previous criteria. Going against these recommendations can land you a visit to a credit repair company. If you want to be a mystery shopper and have understood the responsibilities of being one, then you can start looking for mystery shopping providers to register. Just be patient, even if you will not be given an assignment right away, maybe in the next few weeks, you will be. After registering with a provider, you can give them a call to confirm your dedication and intention. Just make sure that you maintain your composure and treat the company with professionalism, after all, you are starting to build an impression here. Another way to look for potential shopping opportunity is to check forums and message boards of online mystery shopping companies. You can get information here on what these providers are looking for. You may not have a career as mystery shopper, but the extra income, the free goods, the free trips and adventures are definitely a come-on. Why are Mystery Shoppers So Important? A standard practice that goes back to as early as the 1940′s, mystery shopping is a marketing tool that is of importance on various levels. Generally, a company serves as the client of the mystery shopper. The latter is hired either as a part of another company providing such service or on individual basis. Upon the agreement to engage in this endeavor, both parties are liable to each other. The specifications of the whole project are thoroughly discussed in a written document to ensure the legality of the whole transaction. Though not a legal document, it is essential for both parties to have a survey model to serve as a guide for the mystery shopper. This is usually drawn up by the company hiring the mystery shopping service but must be agreeable to the shopper himself as well. Information regarding the client’s company as well as the specific areas for observation are just some of the basics in this model. A large portion of the survey model revolves around evaluating the employees of the client company. However, it does not end there as other aspects of the company’s operation are also assessed. These include, but are not limited to, availability, quality and variety of products, their prices and the overall assessment of the business place. At a glance, anyone can quickly say that mystery shopping exists for the client company’s benefit. Technically, it was developed for that purpose. It is, however, significant to the society as a whole. For one, and probably the most important reason, it provides an area of improvement for the products and services offered by the company to its customers. The whole ordeal is fun since it involves shopping, which is definitely a fun way to spend one’s time. However, it is must to note that this task is of serious nature. 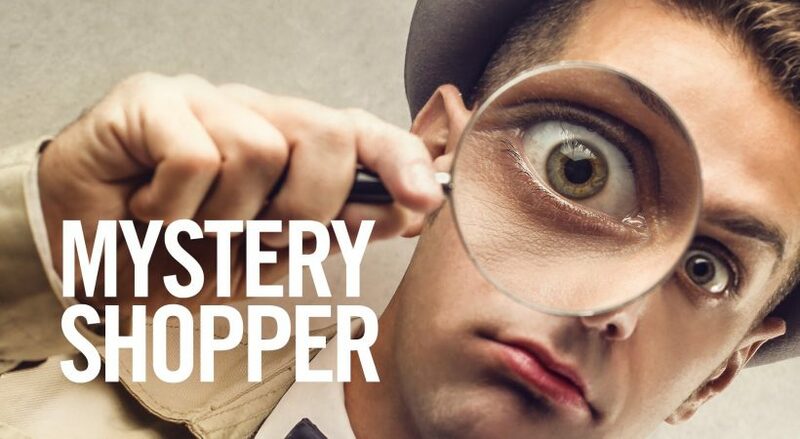 Not everyone can be a mystery shopper as it requires a certain set of skills such as objectivity in assessing, being detail-oriented and the likes. Maintaining an unobstructed perspective and being able to communicate effectively are also necessities of anyone who wishes to get into mystery shopping. With the reports provided by the mystery shopper, a company is able to acquire the most reliable information regarding the operation of its business. It is easy for staff to act nicer with their customers when they see their boss around. With a mystery shopper in the house though, there is no way they can know, and they therefore end up with their rawest behaviors in dealing with customers. Using the assessments done by the shopper, the company and its owner are able to single out the problematic aspect of their business, be it a rude staff or an ineffective item on sale. They are able to eliminate such negative factor from their operation and in the process, they make the lives of their customers more pleasant. In the end, it is actually a win-win end for the business and its customers as when the latter are happy with what they are getting, then the former end up with more sales and money. In the 1940s, mystery shopping was primarily used in retail stores and banks to evaluate the employee’s integrity. Private investigators mingle with regular employees as if they are one of them, to check whether they are putting their employers in jeopardy. As it evolved through the years, it has become an industry whose aim is to evaluate customer satisfaction and help its client improve their business. In the 1980s, the rapid expansion of the industry was because of the internet. Instead of hiring individual investigators, businesses started turning to market research companies to do the assessment. Now, more and more companies employ mystery shoppers through these mystery shopping providers for customer service information. The scope provided by mystery shoppers has expanded that it included churches, housing services, and even government-run organizations like park services, hospitals and law enforcement facilities. The service being offered does not only provide the company an indicator of customer service and fulfillment but it has also helped in penalizing abusive employees. This is probably the reason why it has boomed into a multi-million dollar industry worldwide.